On the eve of the publication of his 10th (!) Sandman Slim novel, Hollywood Dead , Richard Kadrey joins the show to talk about discovering himself as a series writer, converting the raw material of his religious upbringing into urban horror and fantasy, and his drive to understand the character of Lucifer and how evil has been portrayed in the western world. We also get into LA’s transparent power-dynamics, the moment when he started receiving fan art and fanfic of his work, his recognition that he’s a hard worker but a terrible employee, the ways his journalism training benefited his fiction writing, why the second Sandman Slim book was the hardest thing he ever wrote, his best practices for book tours, writing on drugs, keeping it together when he met JG Ballard, the importance of being unqualified for anything, and more! Give it a listen! 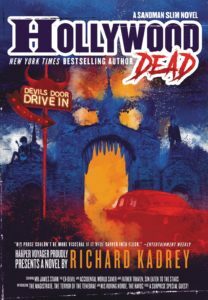 And go buy Hollywood Dead & a whole passel of other Richard’s novels! 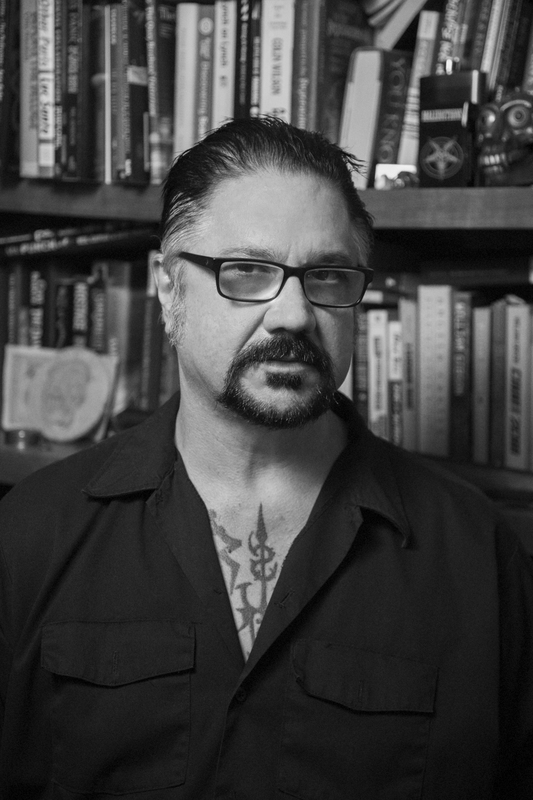 New York Times bestselling author Richard Kadrey has published more than a dozen novels, including the Sandman Slim series, the Coop series, and Metrophage , as well as more than fifty stories. He has been immortalized as an action figure, his short story “Goodbye Houston Street, Goodbye,” was nominated for a British Science Fiction Association Award, and Butcher Bird was nominated for the Prix Elbakin in France. A freelance writer and photographer, he lives in San Francisco. Credits: This episode’s music is Fella by Hal Mayforth, used with permission from the artist. The conversation was recorded at Richard’s home on a pair of Blue enCORE 200 Microphones feeding into a Zoom H5 digital recorder. I recorded the intro and outro on a Heil PR-40 Dynamic Studio Recording Microphone feeding into a Cloudlifter CL-1 and a Mackie Onyx Blackjack 2×2 USB Recording Interface . All processing and editing done in Adobe Audition CC . Photos of Richard by Conan and Tristan Crane. It’s not on my instagram. 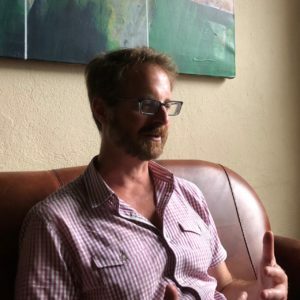 Author, editor, translator, and (most crucially) reader Alberto Manguel joins the show to talk about his new book, Packing My Library: An Elegy and Ten Digressions (Yale University Press). We discuss the lifelong act of building a library and how he deals with having no access to it, now that he’s had to pack up ~35,000 books (but he also tells us about the 3 books he took with him on his travels). We get into his new gig as director of Argentina’s National Library, our schism on whether to cull one’s book collection, his experience in his teens reading to a blind Borges, the book-fetish, our mutual preference for The Iliad over The Odyssey, the embarrassment of receiving an award that was previously given to Borges and Beckett, why translating a book takes more effort than writing one, how he deals with Argentina’s dirty war and the phenomenon of awful people liking great books, the book he still hopes to write, why Canada is home for this world traveler, and the problem with the problem with canons. BONUS: Our listeners weigh in on the books they’d bring with them for a 2-week hospital stay! Give it a listen! And go buy Packing My Library: An Elegy and Ten Digressions ! 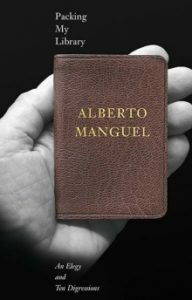 Alberto Manguel is a writer, translator, editor, and critic, but would rather define himself as a reader and a lover of books. Born in Buenos Aires, he has since resided in Israel, Argentina, Europe, the South Pacific, and Canada. He is now the director of the National Library of Argentina. 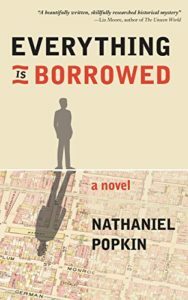 His most recent book is Packing My Library: An Elegy and Ten Digressions . Here’s a list of his 100 favorite books (PDF). Credits: This episode’s music is Nothing’s Gonna Bring Me Down by David Baerwald, used with permission from the artist. The conversation was recorded at Mr. Manguel’s apartment on a pair of Blue enCORE 200 Microphones feeding into a Zoom H5 digital recorder. I recorded the intro and outro on a Heil PR-40 Dynamic Studio Recording Microphone feeding into a Cloudlifter CL-1 and a Mackie Onyx Blackjack 2×2 USB Recording Interface . All processing and editing done in Adobe Audition CC . Photo of Mr. Manguel by me. It’s on my instagram. Fresh from her book tour, Ilana C. Myer joins the show to talk about her new novel, Fire Dance (Tor). We get into the jump she made for her second book, the process of crossing Celtic poets with troubadours and Mediterranean aesthetics and mythology as part of her world-building, the challenge of seducing the reader, why she writes fantasy instead of history, and her fixation on “books with magic in them” as a kid. 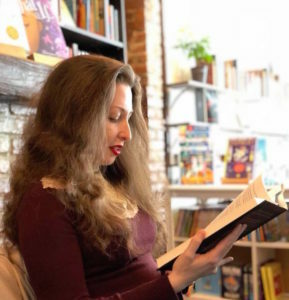 We also get into how she balances life in Israel and the US, her process of self-discovery and her religious epiphany in a college astronomy class, the challenge of shutting out social media voices while keeping up a strong Twitter presence, and more! Give it a listen! And go buy Fire Dance (and Ilana’s first novel Last Song Before Night )! Ilana C. Myer has worked as a journalist in Jerusalem and a cultural critic for various publications. As Ilana Teitelbaum she has written book reviews and critical essays for The Globe and Mail, the Los Angeles Review of Books, Salon, and the Huffington Post. Last Song Before Night was her first novel, followed by Fire Dance . She lives in New York. Credits: This episode’s music is Nothing’s Gonna Bring Me Down by David Baerwald, used with permission from the artist. The conversation was recorded at Ilana’s home on a pair of Blue enCORE 200 Microphones feeding into a Zoom H5 digital recorder. I recorded the intro and outro on a Heil PR-40 Dynamic Studio Recording Microphone feeding into a Cloudlifter CL-1 and a Mackie Onyx Blackjack 2×2 USB Recording Interface . All processing and editing done in Adobe Audition CC . Photo of Ms. Myer by Ezra Butler, so it’s not on my instagram. 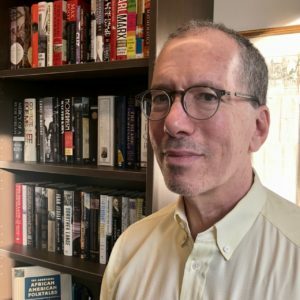 Liveright Publishing editor-in-chief Robert Weil joins the show on the eve of this year’s Festival Neue Literatur to talk about editing translations, why great translators are heroes (and ought to get credited on book covers), and his admiration/adoration for Barbara Perlmutter, winner of this year’s Friedich Ulfers Prize. Along the way, we talk about the nuts-and-bolts of editing writers and why good writers want to be edited, the ongoing relevance of The Scarlet Letter and our Hawthorne vs. Melville takes, the most haunting line of Henry Roth (“The grave is a barrier to all amends, all redress”), and Robert’s incredible run of graphic novels (think Will Eisner, Robert Crumb, Jules Feiffer, and David Small). Plus, we bond over the fact that he edited one of my all-time favorite books: Clive James’ Cultural Amnesia ! Give it a listen! And go to the Festival Neue Literatur this weekend (March 22-25 in NYC)! Robert Weil, born in Manhattan, was raised by a German-born father and a German-born mother who grew up in Sweden. He graduated from Yale University in 1977 with a degree in History. Mr. Weil lives in New York City and has lectured all over the United States as well as in Germany. 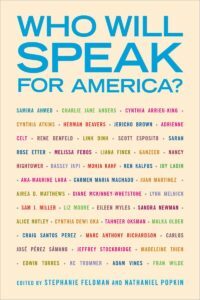 He has worked in publishing since 1978, and, since 1998, at W. W. Norton & Company, the oldest independent and employee-owned publishing company in the United States. At Norton he served as an Executive Editor/V.P. until July of 2011, and since then has been the Editor-in-Chief and Publishing Director of Liveright. 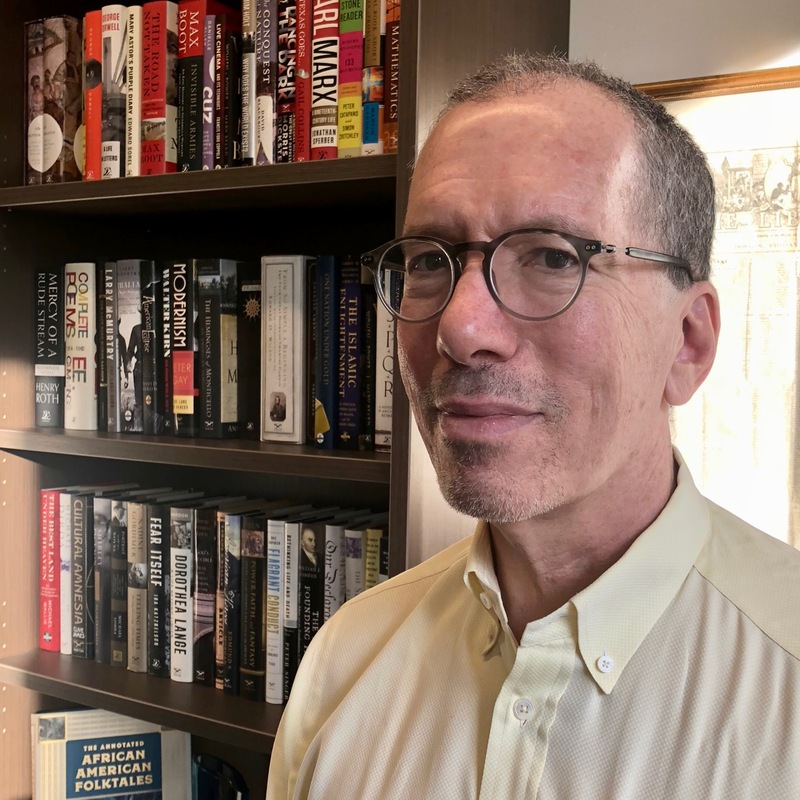 Over the course of 40 years in mainstream American publishing, Mr. Weil has acquired and edited approximately 500 books in a wide variety of fields. Credits: This episode’s music is Nothing’s Gonna Bring Me Down by David Baerwald, used with permission from the artist. The conversation was recorded at Mr. Weil’s office on a pair of Blue enCORE 200 Microphones feeding into a Zoom H5 digital recorder. I recorded the intro and outro with the same equipment in a hotel in midtown Manhattan. Photo of Mr. Weil by me. It’s on my instagram.